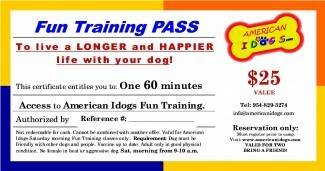 received a free dog training trial? Ok, you have graduated from a basic class, now what can you do? Stop there or keep going? At this point you have probably realized that your dog seems to really enjoy working with you. Well, our students enjoy these classes as much as the dogs do. We have put together this amazing dog sports discovery training class unique in south Florida. For over 5 years now we have offer this popular class to our students. This concept in now copied by other dog training schools! A sign that we must do something good here. In this class, student are exploring many aspects of dog training which range from canine musical freestyle, obedience and tricks learning and agility with some amazing props. We are doing our discovery dog class in a safe and gated 40,000 s.f baseball field not a small enclosed area. 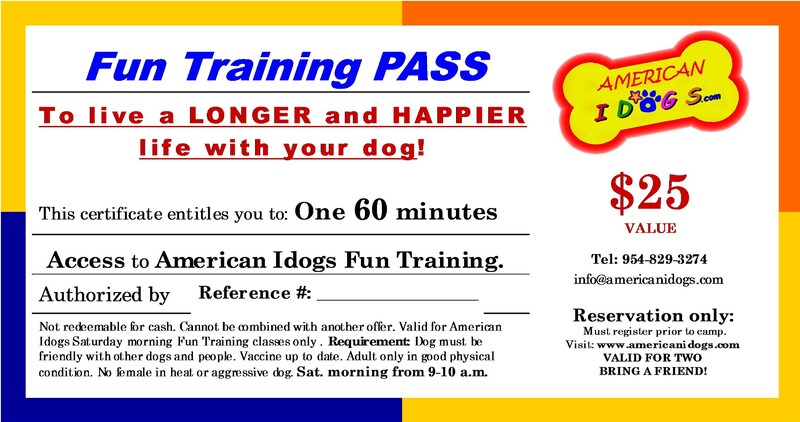 At the end of each class your dog can run, play fetch and release energy. This is an ongoing class and you can join anytime. Our students and their dogs are enjoying it so much that many are repeat customers for years and some are now members of our dog entertainment show. 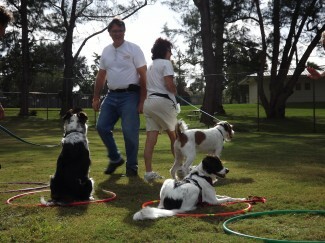 Located at Sunview Park in Fort Lauderdale our dog training class are held in a safe and gated environment. Easy access for all dog owners from Plantation, Davie, Hollywood, Sunrise, Ft Lauderdale, Cooper city, Lauderhill and Weston dog owners in Broward county Florida.